Number 10! 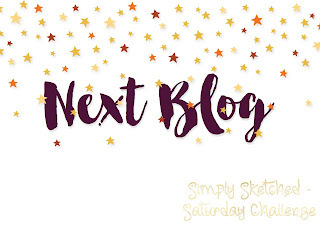 Can you believe this is the 10th Simply Sketched Challenge, how time has flown!! This month's sketch was designed by Kathleen (lilypop crafts) and I felt it lended it's self to the brand new Affectionately Yours Suite in the new Annual Catalogue; this suite is made up of pretty florals with copper accents. This card is made using Night of Navy and Mint Macaron cardstock, layered with the beautiful floral & copper foiled DSP. I used the copper speckled washi tape and copper embossing powder on the sentiment. The sentiment is taken from the Layering Love stamp set, which is also brand new. The copper pearls in the middle of the flowers are.......our old favourite, Basic Pearl Jewels!! Come back tomorrow for a video tutorial on how I changed them to copper gems. Our new Annual Catalogue is released on 1st June, so if you want to get your hands on these fab new items then click on the 'Request a Catalogue' tab at the top of the page and I will happily pop one in the post for you. 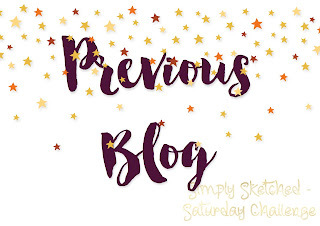 Thanks for hopping over to my blog, please click on the 'next blog' button below to hop on over to see Keren's creation.